I grew up riding dirt bikes and while you feel extremely safe and balanced while actually moving, you find out real quick the bikes won’t balance themselves while stationary. The slower you ride, the worst your bike balance becomes. 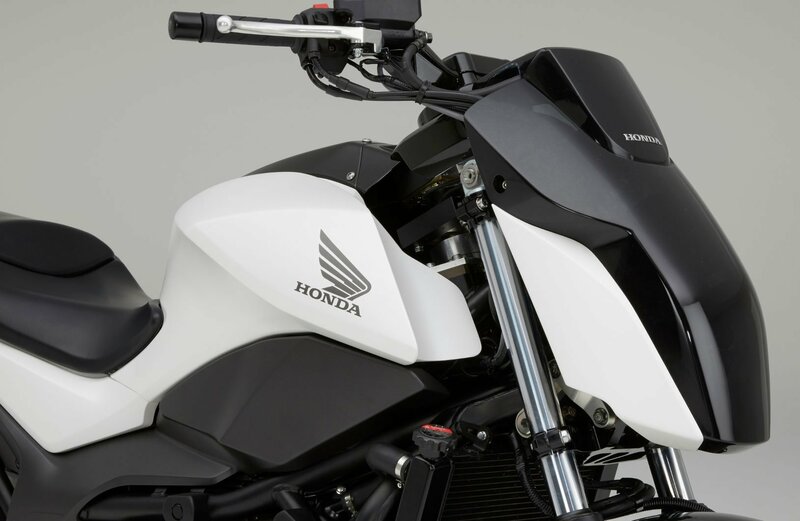 Based on technology developed for Honda’s ASIMO robot and its self-balancing scooter called the UNI-CUB, the Honda Riding Assist technology essentially defies the gravity. Without using gyroscopes, Honda’s experimental bike is self-balancing at speeds less than 3 miles per hour thanks to its ability to automatically lower the angle of its front fork when the user is stopping at a street light or getting ready to ride. Simultaneously, minute left and right steering adjustments are automatically made to the front wheel to ensure stability at all times. Crazy enough, the riding assist technology works whether there is a rider on the bike or not, meaning you can roll the thing out of your garage and it’ll just cruise forward on its own. Unfortunately, Honda has not disclosed whether or not the riding assist technology will ever be installed on a bike available to the public but only time will tell.